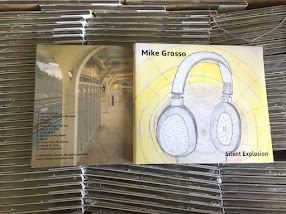 Mike Grosso: New Song -- "Get Out Of My Head"
New Song -- "Get Out Of My Head"
It's called "Get Out Of My Head", and it's a bit groovier than "Move On". Stream it for free, and download it for whatever price you feel is fair (including $0). A captivating talk is esteem remark. I expected to thank you for this brilliant read!! I irrefutably worshiped every last bit of it. I have you bookmarked your site to take a gander at the new stuff you post. Missed My Appearance on Pitch Wars Live?